Overstocked forests, 100 to 200 trees per acre, is a result of deliberate and negligent mismanagement. Allowing 200 trees per acre is the direct cause of “increased...size and intensity of wildfires...” Overstocking creates “crown” fires which spread fast and are uncontrollable. Keeping forest at a healthy 40 to 60 trees per acre allows fires to stay on the ground and be easily controlled. Also, there was sufficient water, even during “drought” years, to support 40 to 60 trees per acre, but not 200. California State Legislature’s failure to maintain our forest is the direct cause for the Bark Beetle blight that killed 129 million trees. This research paper is dedicated to the wonderful people who lost their Paradise because of the willful neglect of Governor Jerry Brown. Jerry Brown (JB) LIE #1: “Climate change is propelling California’s fires,” November 13, 2018(10-Sacramento Bee). FACT: "For nearly 40 years, the number of wildfires in California has been declining"(22-Orange County Register). “If it were climate change, why do we need two new laws passed?” and on the very last day the legislature was in session 31 August 2018 -SB901 and SB1260(27-Forbes). FACT: “Main purpose of both bills, ‘Thinning forests and removing dead and dying trees...’ - Nothing in the bill addresses Brown’s supposed number 1 concern ‘human caused global warming’”(12-CalMatters). FACT: “—fire suppression combined with a virtual cessation of the timber harvest led to overcrowded forests more vulnerable to drought, disease and insects”(27-Forbes). FACT: “....California and the federal government have pursued wildland management practices with deadly consequences while cloaking their willful inaction to reduce the fire threat with the blanket excuse of climate change when the fires inevitably break out”(27-Forbes Magazine). JB LIE #2: Gov. Brown (11 Nov 2108) said, “wildfires like the ones spanning the state today threaten ‘our whole way of life’ and lend urgency to efforts that would slow the impacts of man-made climate change”(10-Sacramento Bee). FACT: Human’s contribution of CO2 (carbon dioxide) into the atmosphere is less than 1 part to 10,000 (1:10,000)(31). Note, the entirety of all CO2 in existence is less than 4 parts per 10,000. Humans may contribute 4% of the 4 parts(31-The Daily Caller). So the question to Jerry Brown is, say we decrease CO2 to 1 part per 11,000 (or 20,000) will that prevent wildfires? Answer, a resounding, NO!!! Why? 95% of fires are caused by people(45). People needlessly suffered and died because of our State government’s mismanagement of our forests. FACT see chart (left): “...total GHG [greenhouse gas] emissions declined by 2.7% since 2016.... emissions from large power plants declined 4.5% since 2016, and 19.7% since 2011 ... more than 8,000 large facilities reported 2017 GHG emissions to EPA”(42-U.S. EPA). Oh wait! CO2 emissions since 2010 have dropped 17% over all and are nearly half-way back to the lowest point in the last 36 years. There is an uptick projected for 2019 likely the result of all the out-of-control wildfires in California; which puts that back on Jerry Brown. FACT: Fires in forests thinned to 40 to 60 trees per acres can be easily and quickly controlled(1-Mountain Area Safety Taskforce (MAST)). FACT: “The costs of long neglecting and mismanaging forests have become an unsustainable burden in California,” Little Hoover Commission, Report #242 Feb 2018(48-Reuters). Jerry Brown and the Democrat controlled California Legislature’s mismanagement has allowed our forests to become dangerous death traps ---NOT Global Warming. JB LIE #3: Brown, “This is the new abnormal...”(12-CalMatters). What?!! “New abnormal?” What does that mean anyway? FACT repeated: "For nearly 40 years, the number of wildfires in California has been declining"(12-OCR). That is called a “trend,” a “normal” trend. JB Forked Tongue: “...the largest land-based carbon sink in California with trees and shrubs drawing carbon (aka CO2 “carbon dioxide,” aka plant food) from the atmosphere...” Executive Order (EO) B-52-18(26a-Gov.ca.gov). FACT: With, currently, as many as 200 trees per acre we have the largest possible per acre “carbon sink”(23-Wikipedia). –What we need to save our forests is to reduce the “carbon sink” by about 150% getting our forests to a manageable 40 to 60 trees per acre. “Carbon sink” is a bogus notion especially in light of California offering incentives (subsidies) for home owners to tear out their “carbon sink” living grass and replacing it with “drought tolerant” AstroTurf and rocks. Turf Replacement Program(32-DWP). TRUTH: “President Donald Trump correctly blamed the California government for the 2017 and 2018 wildfires that wiped out parts of Santa Rosa, Redding and now Paradise”(27-Forbes). “There is no reason for these massive, deadly and costly forest fires in California except that forest management is so poor,” Trump(27-Forbes). FACT: “NASA Data: Earth Cooled by Half a Degree (0.56C) Celsius From '16-'18"(7&8-NewsMax & RCM). FACT: "One reason [burn] acreage may be up is from the record winter rains that replenished fuel for fires by spawning plant growth,..."(22-OCR). FACT repeated: Humans contribute 1 part per 10,000 parts (1:10,000) to earth’s atmosphere(31-DailyCaller). Anthropogenic (Human Caused) Global Warming (AGW), erroneously mislabeled as Climate Change, contributed near zero percent to the Camp Fire (or any other “wild” fire) in California. The 1 part includes all the CO2 those pesky 7.5 billion humans and all the animals they eat breath out into the atmosphere. FACT: “From February 2016 to February 2018 (most current data) global average temperatures dropped 0.56°C”(7&8). Even the weather is intimidated by President Trump – For as long as he’s been in office the earth has been cooling dramatically. STUPID Statement about the above noted temperature drop by a NASA person, "None of this argues against global warming." What?!!! How stupid do they think we are? Not one single computer model factored in cooling periods, so how can they claim that the models are still accurately predictive? The temperature drops worldwide by one full degree Fahrenheit (1.0°F) in just two (2) years(7&8-Ibid) and that is not an “argument against global warming.” But a single forest fire is proof that climate change is to blame. Oh wait, I get it: facts are not as relevant as: faux, fake, false fiction (aka AGW narrative). --This is classic sociopathic behavior. JB LIE #5: Brown points out. “This [more and more fires] will continue in the next 10, 15 to 20 years. Unfortunately, the best science is telling us that the dryness, warmth, drought, [the fires] are going to intensify.”(11-Deadline.com). FACT: Cooling causes dryness and drought. See below: pot of water on burner. FACT: Warming water causes evaporation (aka rain). FACT: Thinning living trees to 40 to 60 per acre from the current 100 to 200 will lessen fires(1-MAST). In other word thin green trees and remove all the dead trees. Drought vs Global “Warming” or Rain vs Global “Cooling” -pot of water on burner. Can’t have both. Can’t claim Global Warming and Drought – cooling causes drought warming causes rain. We all learned this is Kindergarten. Just put a pot of water on your stove top and let it sit there for an hour. Then turn on the heat to high and let it remain for an hour. Heat of, and over, the oceans causes vaporization of water into the clouds (aka greenhouse gas (GHG) is up to 72% water vapor) and the wind moves the clouds to the coast. Guest what? Rain, rain, and more rain. FACT/Logic: Why was nothing about “adaptation,” whatever that means, included in the SB 901 or SB 1260? Jerry Brown has been Governor for a total of 16 years his party currently has super majority control of the legislature. What do they propose? What have they done? Just thin the forests. Do not fine property owners for thinning their own property(38). Do whatever it takes to get lumber companies back into our forests to cut and manage trees(37-CNBC). See number 50 in Sources: for machines that can do this in an ecologically sustaining way. FACT/Logic: Management is not “only one ... element” it is about dealing with all aspects of the forests. If you believe in: global warming, drought, over population, or over building these are just “elements” that factor into “managing” the forests. Wait! What?!! I thought this was “man-made” global warming. Now he’s blaming God. Next he’s going to tell us that the sun heats the planet. Oh, wait, it does. Did you know that at some places on the planet the temperature drops 50°F when the sun goes down? It is called nighttime. JB LIE #8: “‘We are doing everything we can,’ he said to reporters gathered outside his office on Tuesday”(12-CalMatters). Question: Does Jerry Brown have no people around him who do actual research? NOTE/Personal: I lived in Southern California for fifty years never saw any trending change in the frequency, velocity, or intensity of Santa Ana winds. As a teen we wished for the Santa Anas, it was the only way to get relief from smog during football practice. FACT repeated: “Temperature drops worldwide by a one full degree Fahrenheit (1.0°F) in just last two (2) years”(7&8-NewsMax & RCM). FACT/Logic: “...soil and vegetation is drier” because we have too many trees (up to 200 per acre) and shrubs sucking up all the water. Also known as, forest mismanagement. The oceans’ salt water is 96.5% of all the water on earth(25d-Water.USGA,gov). Fresh groundwater (fresh water held below the earth’s surface) is less than 0.76% (that’s ZeroPoint76% - just 3/4s of 1%) of all the water on earth and it is being depleted. Why would we “flush” any fresh water into the oceans’ salt water making it unusable for human consumption? This flushed fresh water could be used to recharge vitally needed groundwater(41-WaterOnline). Note: all human, animal, and plant usable water held in all fresh water lakes, rivers, and swamps is less than 0.008% of all water. Santa Ana Winds – The history of the designation “Santa Ana”(28-KCET) used by the media. These winds were (and still should be) called Santana winds. Santana in Spanish means Satan, or devil. Spanish missionaries in California picked up “devil winds” from early American Indians. At least two reasons the term “Santa Ana” has become accepted usage: one, the Spanish pronunciation of Santana is much like “Sant Ana,” and two, the Santa Ana valley, in Orange County, is a target for the winds. It would be preferential that we not call them Santa Ana which is Spanish for Saint Anne, who is the mother of Mary and grandmother of Jesus of Nazareth. It is ironic that we call a devil wind after a Saint. FACT repeated: Allowing 200 trees per acre is what directly caused the “increased...size and intensity of wildfires...”(1-MAST) In all the world wildfires have declined in numbers, size, and intensity for last 50 years(39-NCBI). Mismanagement cause the increased “intensity of wildfires,” not AGW, not Utilities, and not invaders from outer space. FACT (see picture below): “A crown fire flares skyward in an overstocked forest, while a fire in a healthy forest is more likely to remain low to the ground and easier for firefighters to contain”(1-MAST). FACT: Goats. “No Kidding: Getting Goats to Graze on Tinder Puts a Damper on Fires”(6a-ScientificAmerica). “Communities worried about the ravages of wildfires are embracing a four-legged solution”(6b-Smithsonian). “Goats hired to help prevent deadly wildfires in Portugal”(6c-SkyNews). JB LIE #11: “WHEREAS the Forest Carbon Plan has been developed by state agencies to provide consensus forest practices that will achieve resilient forests that can withstand and adapt to wildfire, drought and a changing climate, safeguard the state’s water supply, and ensure the state’s forests operate as a carbon sink”(14-JB EO). This is such total _____ drivel, that I literally don’t know where to begin to tear it apart. NOTE: Drivel: silly nonsense, balderdash, gibberish, mumbo jumbo, you get the idea. FACT/Logic: Mismanagement that allowed 200 trees per acre maximized the “carbon sink” effect. With 200 trees per acre, 5 times more carbon (CO2) is sucked out of the air than with 40 trees per acre. Carbon sink is a red herring. We need to make our number one priority to stop killing people and destroying thousands of peoples’ lives. FACT: The State’s mismanagement that allowed 200 and more trees per acre directly contributed to the lack of sufficient water per tree. “...the tree was unable to fight off an infestation. Lacking enough water — at least 250 gallons a day during the summer — it couldn't produce enough pitch to push out the beetles as they bored in”(34-LA Times). It IS NOT “human caused” global warming, it IS “human caused” mismanagement that allowed the growth of 200 trees per acre in our forests. We had ample water for 40 trees per acre. Such mismanagement allowed the Bark Beetles to flourish and now we have 129 million dead trees. And, in just the Camp Fire alone, there are 86 dead people (as of 11 Dec 2018). FACT: Bark Beetles have been stopped at the Torrey Pines Resort in San Diego with $200 traps(4-CBS News 8 San Diego). Just for argument’s sake let’s assume the Camp Fire was a result of AGW; then who did not take action? Same group of people led by Jerry Brown. In fact that makes them all the more culpable because they claim it is AGW and they have not properly acted to prevent it (whatever it is). All those who lost loved ones or property should sue Jerry Brown personally and each member of the State legislature individually. How else will we ever get them to stop destroying us and our forests. 1. Policy to suppress “wild” fires instead of letting them naturally burnout with controlled fire breaks. 2. Stopping logging industry from being profitable and which would have enabled them to keep forests thinned. 3. Policy to not effectively thin forests (faux excuse “not enough money”). Prior to the 20th century, many mountain forests in the central and southern regions of California had fewer trees than they do today. This is because a hundred years of fire suppression and timber management allowed more trees to live longer than they ever had before. Thinning green vegetation not only reduces the fire danger, it helps restore the vigor of the drought-afflicted forest by freeing up more resources — water, minerals and sunlight — for the remaining trees and vegetation. That's why a thinner forest is a healty forest. The problem fire protection officials face is that not only does green vegetation burn, the forest is overstocked — 100 to 200 trees per acre, where a healthy forest has 40 to 60 trees per acre. Thinning green vegetation not only reduces the fire danger, it also frees up resources for the remaining plants and trees, making them more healthy, restoring their vigor and making them more resistant to fire as well as infestation by bark beetles and other parasites. A crown fire flares skyward in an overstocked forest, while a fire in a healthy forest is more likely to remain low to the ground and easier for firefighters to contain. Taking part in the Forest Care program, Phil and Sandy Browne were able to make their home more fire-resistant by thinning the live trees on their property. The Brownes paid $4,100 for 110 small to medium-sized trees (up to 12 inches in diameter) to be removed. Q: Why not the larger ones especially if diseased or dead? The Mountain Area Safety Task force has shifted its focus from the removal of dead, dying and diseased trees to thinning green vegetation to help prevent a catastrophic wildfire. Having removed more than 1.5 million dead or diseased trees from the mountain regions of San Bernardino and Riverside counties, MAST is now focusing its fire prevention efforts on the strategic removal of green vegetation to protect high-risk areas. This requires thinning brush, chaparral and small trees, which helps eliminate ladder fuels that allow flames to climb upward into the trees. Removing green vegetation in strategic locations also creates fuel breaks to help prevent wildfires from spreading. ReLeaf is an ongoing program educating the public about reforesting the burn areas of the San Bernardino Mountains. Hap Question: What is the rationale behind planting when we have serious overstocked forests? We should have 40 trees per acre and we have upwards of 200 per acre. Aluminum, not bark beetles, to blame for decimation of rare trees. Aluminum rain and acid fog. This is not helpful. The rain and fog have been here for years yet the die off is sudden and trees affected are adjacent to each other. If it where aluminum and/or acid it would have been going on for much longer (especially as the pollutants have been reduced year after year in CA). But more the death would have been more spread out. Hap Q: time frame does not cooperate this theory the bulk of dead trees happened after 2010; also aluminum poisoning would have been spread all over larger area not concentrated in pockets like the dead trees infested with beetles. Using goats to control forest brush may seem like a novel idea, but it has been around as long as grazing animals have roamed the planet. “The goat clearance scheme is one of the key reasons the Bay Area hasn’t had a recurrence of a catastrophic fire in decades,” says Tom Klatt, former manager of the Office of Emergency Preparedness at UC Berkeley and the author of UC Berkeley's 2007 Fire Mitigation Program Annual Report. Dozens of herds have been hired by the government to destroy the thick grasses that make wildfires a regular occurrence. Portugal is using goats to help prevent the deadly summer wildfires that last year killed 106 people. 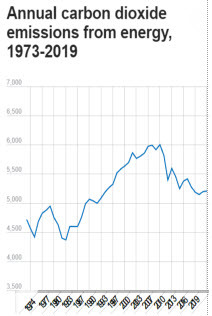 According to RealClear Markets, the average temperature around the world fell 0.56 degrees Celsius during that time period, the biggest dip in temperatures since a decrease of 0.47 degrees Celsius from 1982-1984. 8. Did You Know the Greatest Two-Year Global Cooling Event Just Took Place? Gov. Jerry Brown on Sunday said wildfires like the ones spanning the state today threaten “our whole way of life” and lend urgency to efforts that would slow the impacts of man-made climate change. He spoke a day after President Donald Trump wrote a message on Twitter that seemed to blame California government for the 2017 and 2018 wildfires that wiped out parts of Santa Rosa, Redding and now Paradise. “There is no reason for these massive, deadly and costly forest fires in California except that forest management is so poor,” Trump wrote. ... also pointed out that there will have to be more investment in "adaptation" in regards to "climate and the warming climate." Decades ago I saw a satellite pictures of North America where it was a composite of the entire summer season, All across the northern half of mexico you could see tiny spots where fires had burned. There were no areas of large fires or burnt out areas though. And across the border in the U.S there were no widespread areas of smalls spots of fires, but there were many areas of large Fire or burnt out areas. This picture was part of an article about how Forestry Polices of the 1940’s through the 1970’s was to blame for the current state of large wildfires that were then frequently manifesting themselves. The point being that due to overly aggressive fire suppression of all fires, that large areas through out the Western U.S. now had built of massive amount of dead fuels. So that when a fire did break out in such conditions they became uncontrollable. The point being that fire is a part of the natural cycle, and one must allow them to burn. When the balance is returned to the fire cycle, there will be fewer large fires, but many more small fires. We need many more controlled burns to remove the excessive dead wood and then let nature manage it itself…. Green is the real burn issue not the dead trees. Bulk of this bill and the debate therein: is to shift the blame to utility companies. This is an effort to bankrupt them and get them taken over by government. The short answer, according to Gov. Jerry Brown, is that “some things only God can do.” “We are doing everything we can,” he said to reporters gathered outside his office on Tuesday. (a) It is the policy of the state to encourage prudent and responsible forest resource management by increasing the pace and scale of fuel reduction, thinning, and the use of prescribed fire as directed by Governor Brown’s Executive Order B-52-18. WHEREAS the Forest Carbon Plan has been developed by state agencies to provide consensus forest practices that will achieve resilient forests that can withstand and adapt to wildfire, drought and a changing climate, safeguard the state’s water supply, and ensure the state’s forests operate as a carbon sink. “Forest Carbon Plan” Hap Q: what is this nonsense? 2. The Natural Resources Agency shall take all necessary steps to double the total statewide rate of forest treatments within 5 years to at least 500,000 acres per year. To accomplish this goal the Agency will work with the Department of Forestry and Fire Protection, the Department of Parks and Recreation, the Department of Fish and Wildlife, the State Water Resources Control Board, State Conservancies, and all other relevant agencies. Hap Q: Why not “work with” private sector? e.g., lumber industry – there are 33,000,000 acres and getting “forest treatments” only 500,000 per year will take 66 years to accomplish – we’ve been doing 250,000 per year and it’s been “worst ever” fires. In a [an] historical, natural and healthy fire regime, nearly half of Sierra forests would experience fire every 12 years and three-quarters would burn every 20 years. However, only 0.2 percent of Sierra forest land has burned repeatedly at least every 20 years in modern times, while 74 percent has not had a single wildfire or prescribed burn in the last 103 years. 16. Are Dead Trees More Combustible Than Live Ones? The last few years of computer modeling of fire behavior in dead forests indicated that wildfires would not turn into crown fires as readily there as they do in forests of living trees because many of the dead trees have lost their needles. Crown fires are the hottest, fastest-moving and deadliest of all forest fires. It turns out, however, that the behavior of fires in the real world is different from what the models suggest. Last summer was the first in a few that was dry enough for some moderately serious wildfires. William Jolly, a Forest Service research ecologist with the Rocky Mountain Research Station’s Fire Sciences Laboratory in Missoula, Mont., had a chance to study them closely. Even under the moderate fire conditions of last summer, he said, blazes in forests with lots of dead needle-less trees turned into crown fires, which is sobering. In an interview with Breitbart News on Sunday, Secretary of the Interior Ryan Zinke blamed "radical environmentalists" for the wildfires that have devastated California in recent weeks, The Huffington Post reported. "I will lay this on the foot of those environmental radicals that have prevented us from managing the forests for years. And you know what? This is on them," he said in the interview. Hap Q: They “science/solar deniers” want to blame everything on “man-made” global warming and protest vehemently that humans are not doing anything (at least not doing enough) to prevent AGW. But when we actually have something we can do to prevent destruction of life (human, animal, plants, and species) and property they are opposed to it. Allowing loggers to harvest forests would have saved lives. NOAA's former three National Data Centers: 1. The National Climatic Data Center, 2. The National Geophysical Data Center, and 3, The National Oceanographic Data Center have merged into the National Centers for Environmental Information. NCEI hosts and provides public access to one of the most significant archives for environmental data on Earth. Through the Center for Weather and Climate and the Center for Coasts, Oceans, and Geophysics, we provide over 25 petabytes of comprehensive atmospheric, coastal, oceanic, and geophysical data. McLean wasn't surprised by the numbers considering the years of drought and the fuel created by the rain that preceded fire season. Carbon sinks are lost due to soil degradation, deforestation, and other land use changes that occur to graze animals and grow their feed. It is estimated that land holds three times as much carbon as the entire atmosphere. Plants and trees are needed to draw down the carbon already in the atmosphere. Per WWF and Union of Concerned Scientists, animal agriculture is the number one cause of deforestation. Hap: Not in the U.S.
Hap Q: Carbon Sinks in U.S. are Nuts!!! We have more trees, and far more per acre, than ever in history – elsewhere in other parts of the world: China, Brazil, Russia, maybe an issue. 24b. How would a vegan shift mitigate climate breakdown? 25. Only 2.5% of the world's water is freshwater. 25a. Fresh Water (or freshwater) is any naturally occurring water except seawater and brackish water. ... Fresh water is not the same as potable water (or drinking water). Much of the earth's fresh water (on the surface and groundwater) is unsuitable for drinking without some treatment. 25c. How much water is there on, in, and above the Earth? - 100 times more fresh water is underground that is visible in lakes, rivers, swamps, and swimming pools. Goundwater - water held underground in the soil or in pores and crevices in rock. Surfacewater - Fresh and/or Salt - lakes, rivers, swamps. Biological Water - is this water in animals, plants, micro organisms? Water fit for human consumption is called drinking water or potable water. Water that is not potable may be made potable by filtration or distillation, or by a range of other methods. 26. Brown says California’s drought is over. But some restrictions will remain. Dry weather began in earnest in early 2012. It wasn’t until January 2014, with conditions worsening, that Brown declared a state of emergency and the drought officially began. Friday’s decision rescinds that declaration, as well as most drought-related executive orders he issued when the drought reached its zenith in 2015. Brown lifted the drought order in every county except Fresno, Kings, Tulare and Tuolumne, where the governor said emergency drinking water projects will continue to help communities where wells have gone dry. The state will also continue fighting the bark beetle outbreak that has killed millions of trees weakened by drought. Hap Q: But we were told is was climate change, why then do we need SB 901, SB 1260? 28. Santa Ana Winds – Should be “Santana” meaning “Satan,” or devil from the Spanish, but is pronounced in Spanish more like Sant Ana thus they are not the City of Santa Ana (named for Saint Anne) winds, are drying winds. Saint Anne was the mother of Mary and grandmother of Jesus according to apocryphal Christian and Islamic tradition. The Santa Ana winds are strong, extremely dry downslope winds that originate inland and affect coastal Southern California and northern Baja California. They originate from cool, dry high-pressure air masses in the Great Basin (aka Nevada). Near-surface wind speeds over landmasses across the planet have dropped by as much as 25% since the 1970s, and climate scientists are taking note. Michael Lucy reports. 30. Sociopath - a person with a psychopathic personality whose behavior is antisocial, often criminal, and who lacks a sense of moral responsibility or social conscience. Earth’s CO2 levels have been increasing in recent decades due to human activities and also natural factors, and some estimates say as little as 3 or 4 percent of carbon dioxide in the atmosphere is due to humans. Scientists, however, tend to argue that even though humans only contribute a tiny amount of CO2 into the atmosphere, it can’t all be absorbed by natural cycles. 32. REPLACE YOUR TURF GRASS AND RECEIVE A REBATE OF UP TO $2,000! The $24 million program budget is expected to support the conversion of more than 10 million square feet of turf, or approximately 20 percent of the statewide goal of 50 million square feet of turf. Up to $2 per square foot of removed and replaced turf will be rebated per eligible household. The total rebated amount, including any rebates the homeowner has already applied for from another agency, can't exceed a total of $2 per square foot. Mike Wade is executive director, California Farm Water Coalition. But in recent years, the tree was unable to fight off an infestation. Lacking enough water — at least 250 gallons a day during the summer — it couldn't produce enough pitch to push out the beetles as they bored in. One hurdle in the process is that a registered professional forester needs to assess the forested land as part of the application process; and since there are not many of these professionals around, they’re very, very busy. However, the Forest Service spends so much money preparing these timber sales, such as through road-building and trying to repair some of the ecological damage after logging, that the Forest Service’s timber sale program is a net money loser, costing taxpayers hundreds of millions of dollars per year. In other words, the timber sales program functions as a particularly destructive form of government subsidy to private logging companies. This subsidy is so large that if the government ended the Forest Service timber sales program, a portion of the money saved could be used employ every timber worker that is currently involved in cutting down national forests to instead work on ecological restoration, repairing the damage that has been done to our forests, and there would still be millions of dollars remaining in taxpayers savings. At the same time, less than four percent of U.S. wood supply comes from our national forests, a tiny fraction that could easily be replaced through a bit more recycling or a little less waste. So commercial logging of our national forests is not only ecological damaging and economically wasteful, it is also unnecessary. To learn more about the Forest Service’s timber sale program, see (Hap note: 404 Error link to:) “Ending Timber Sales on National Forests: The Facts” by the John Muir Project, a report which was reviewed and approved by the Congress Research Service, the non-partisan research arm of the U.S. Congress. It’s My Land. I can do anything I want…NOT! 1. You have a fish bowl with one lowly 10¢ gold fish, as you are moving it you drop it killing the gold fish. 2. Same bowl only now you have 100 lowly 10¢ gold fish, while moving it you drop it and loose all 100 gold fish, value $10. 3. Same fish bowl only now you have a Peppermint Angelfish valued at $30,000, while carrying it into the house having just picked it up from the pet store you drop it and, OH, NO! a $30,000 fish is gone. What changed in the three examples? Only the content in the fish bowl not the “intensity” of the fire, wind, or temperature. 1. Is 40 trees per acre as it should be; 2. Is 200 trees per acre and many more houses per square mile, e.g., Paradise; and 3. Is Malibu. Which scenario will you never hear about in the mainstream media? Reported total GHG emissions declined by 2.7 percent since 2016. Reported emissions from large power plants declined 4.5 percent since 2016, and 19.7 percent since 2011. This is the seventh year of full data collection for most sectors under the Program, and more than 8,000 large facilities reported 2017 GHG emissions to EPA. 43. Are greenhouse emissions down under Donald Trump, as EPA says? In 2016, emissions fell by 1.64 percent from their 2015 level, and for 2015, they fell by 2.68 percent over their 2014 level. The ... chart shows annual declines in emissions almost every year from 2007 to 2017. FAKE NEWS #44 below --see above for the truth from EPA & EIA. Worldwide, carbon emissions are expected to increase by 2.7 percent in 2018, according to the new research, which was published by the Global Carbon Project, a group of 100 scientists from more than 50 academic and research institutions and one of the few organizations to comprehensively examine global emissions numbers. Emissions rose 1.6 percent last year, the researchers said, ending a three-year plateau. Nearly 95% wildfires started by people (7% of them are by arsonists); less than 5% are lightning or wind taking down a power line. In California, almost 95 percent of fires are started by people, and about 7 percent of those are caused by arson, according to Lynne Tolmachoff, the chief of public education at Cal Fire. The rest are mostly fires started by lightning, or other acts of Mother Nature such as wind taking down a power line. Some California forests have more than 1,000 trees per acre when 40 to 60 trees per acre would be ideal. These overcrowded forests are filled with dead trees, piles of logs, and thickets of small trees. Unfortunately, the annual ritual of death and destruction from wildfires will continue to plague Californians in the decades ahead. We know it is unnecessary. We know that thinning our dangerously overcrowded forests will prevent it. We just lack the will to do it. Thomas M. Bonnicksen is professor emeritus of forest science at Texas A&M University and author of “America’s Ancient Forests” (John Wiley & Sons, 2000). He is a graduate of UC Berkeley. 47. Are Leading Fire Ecologists Really Lying? Yet the Little Hoover Commission report found poor management policies for the last century have left forests vulnerable to fires. “The costs of long neglecting and mismanaging forests have become an unsustainable burden in California,” the report said. 49. See 48 above for quote from report. 50. Here are machines that will make thinning by loggers economical, ecologically sustainable, and effective.